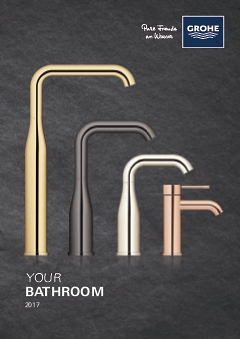 Elegant and very comfortable to handle, the low pressure Eurosmart Cosmopolitan bathroom tap is designed to make all your bathroom rituals a pleasure. With its versatile modern design it looks perfect in a wide variety of bathroom designs and it’s packed with GROHE technology. It has a cutting edge GROHE SilkMove ceramic cartridge so you can control water temperature and flow with smooth precision. And the scratch resistant chrome coating is easy to clean and has a sparkle that will last for years. Eurosmart Cosmopolitan – blending style and performance for your pleasure!